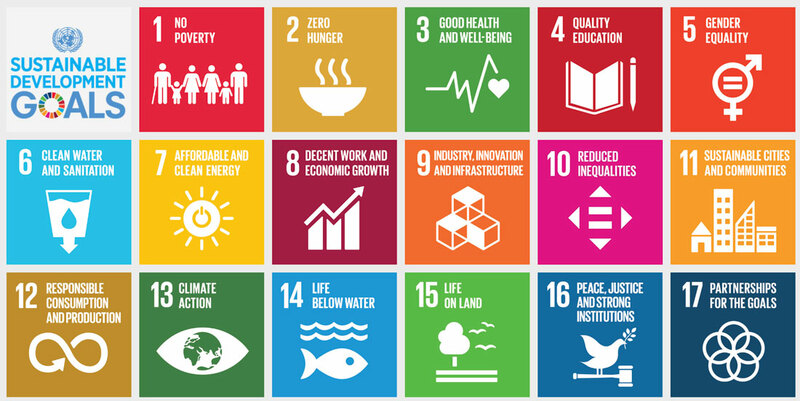 The UN 2030 Agenda for Sustainable Development provides 17 Sustainable Development Goals (SDGs) and 169 accompanying targets, with so far 230 indicators. Two years after their publication, they are still not widely implemented into business practice, and the sheer number of targets and indicators implies an obvious risk of cherry-picking and sub-optimised decision-making. One of the challenges for the successful implementation of the SDGs is that the 169 indicators were developed for Governments and NGO’s and not for business. For instance, none of the indicators underlying the Climate goal have business relevance, but rather focus on policies, subsidies etc. According to the report of the Business and Sustainable Development Commission, the first hurdle that needs to be taken is the re-interpretation of the indicators to link them to business and especially to decisions around product strategy and development. In contrast with this top-down goal-setting process, the Life Cycle Community has amassed a considerable amount of knowledge, data and experience to assess products and systems in a bottom-up mode. The community has developed something unique — a large repository of data that describes all major relevant supply chains throughout the world — and it has combined this with a number of methodologies to translate this data into a number of social and environmental category indicators, in different levels of aggregation. In order to link these top-down and bottom-up approaches, a new project is getting underway. The objective of this project is to develop a clear linkage between the top-down process that led to the creation of the SDG’s and all the bottom-up knowledge, data and methodology in the Life Cycle Sustainability Assessment area. With this linkage made, specific decisions can be related to the Sustainable Development Goals. Scope: In line with the vision of the Life Cycle Initiative, the project brings the qualitative and quantitative impact pathway thinking from Life Cycle Impact Assessment to bear on the 17 SDGs. The scope includes a range of options ranging from qualitative to screening approaches to fully quantified end-point metrics solutions. Impact: The project will provide an actionable and rational method for businesses and governments to integrate the SDGs into decision making and monitoring, and will therefore contribute substantially to streamline and coordinate action and increase efficiency in implementing the SDGs and the 2030 Agenda. Through its co-development and capacity development activities, the project provides policy makers, business decision makers and LCA practitioners new tools to enhance the effectiveness of their decision making and strategy development. The outcomes will also be applicable for streamlining and harmonisation of sustainability reporting. The project will be managed by 2.-0 LCA and PRé Consultants. • the need for capacity building. This stakeholder consultation will take place as a side event of the International Conference on Social Life Cycle Assessment and is invitation only. However, if you are interested in participating, please contact us for more information.